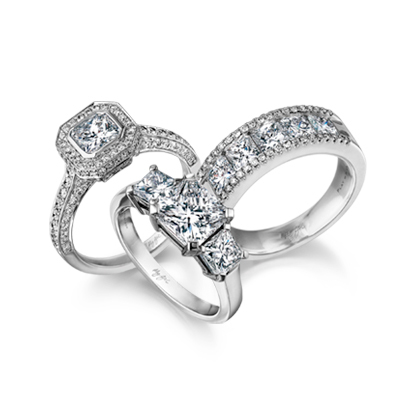 Set with a 0.20ct My Girl patented diamond cut, the unique tube set solitaire diamond ring shown features a polished finish expertly crafted in 18K white gold. 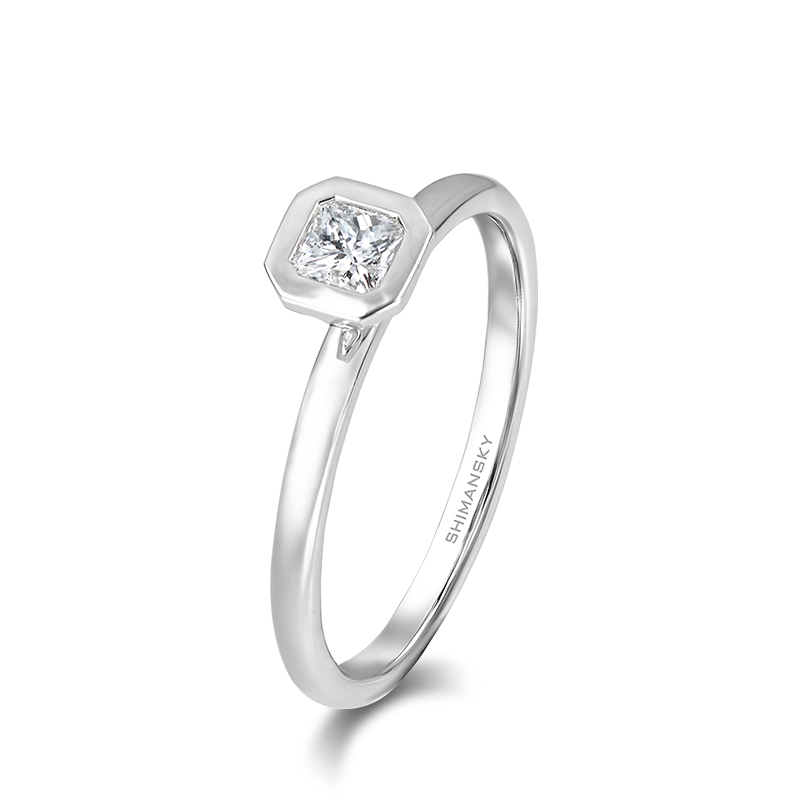 This elegant design can be especially created based on your specifications with a hand-selected My Girl diamond exclusive to Shimansky. View our current Pricing tab.